The festival begins this Thursday! As the primroses unfurl on the Yorkshire Wolds, we are reminded that the month of May is on the horizon and it will soon be time to celebrate the feast day of St. John of Beverley. For centuries pilgrims have made their way to Beverley to visit the shrine of this kindly saint in Beverley Minster. The wonderful musicians of the first New Paths festival in Beverley – the country’s leading young professional musicians – have already started to arrive in town, journeying to be here from all corners of the British Isles. In the coming days they will be joined by festival-goers coming from even further afield, all eager to enjoy the spectacular array of concerts and events taking place from Thursday until Sunday and to explore the region. We are delighted that the first stop on our pilgrimage this Thursday is the stunning Beverley Minster. At the opening concert in the atmospheric South Transept of the Minster we are treated to a lavish combination of chamber music and song, including Brahms’s Violin Sonata in D minor, Robert Schumann’s Piano Quartet in Eb major, songs by Schubert and Clara Schumann, and a performance by Nick Pritchard of Beethoven’s An die ferne Geliebte. 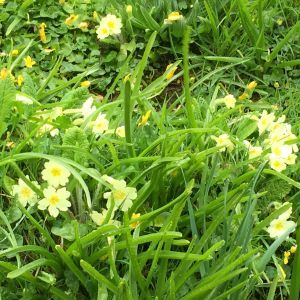 It is pleasing that in this, the first ever song cycle written 200 years ago in April 1816, poet and composer use the tender image of primroses sleeping to capture a sense of tranquillity in nature. On the other hand, Clara Schuman’s virtuosic song, Er ist gekommen in Sturm und Regen, to be sung by Mary Bevan, brilliantly paints a picture of a woman waiting for her lover making a turbulent journey through storm and rain. We wish you all a smooth journey: you can be sure of a warm welcome and some terrific music. The final stop on our festival pilgrimage through Beverley this weekend is the glorious St. Mary’s Church, with its famous Pilgrim Hare, said to be the inspiration for the White Rabbit in Lewis Carroll’s Alice in Wonderland! The closing concert on Sunday night brings together the winners of the 2009 Wigmore Hall Song Competion, our artistic director and pianist Libby Burgess and baritone Marcus Farnsworth, one of the great song singers of his generation, for a special performance of Robert Schumann’s Dichterliebe. Schumann’s song cycle is a devastating masterpiece, beginning with an awakening of love in the month of May and ending with a piano postlude of utter genius, bringing about an extraordinary closure to the bittersweet journey. It is fitting that in a building with an enviable reputation as a chamber music venue, our closing concert – under the starry ceiling of St. Mary’s – is another potent mixture of song and chamber music. It includes a performance by violinist Jamie Campbell, cellist Cara Berridge and pianist Libby Burgess of Brahms’s Piano Trio in B Major, a ravishing work packed with passion and beautiful melodies. In days of old, pilgrims often carried triptychs on their journies (the form allowed for ease of transport). So we are pleased to present below a triptych of three outstanding festival artists – Anna Huntley, Mary Bevan and Libby Burgess (all ‘on the sofa’) – to inspire you on your way. We look forward to seeing you soon for a wonderful long weekend of music in Beverley. Tickets are still available so be sure not to miss out. PS Please note that under-18s gain free entry to all festival concerts.